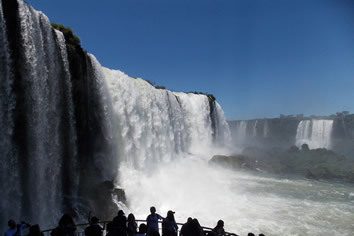 No trip to Argentina is complete without a visit to Iguazu Falls, which is a UNESCO World Heritage site and 2011 was named one of the 7 Wonders of the Natural World. 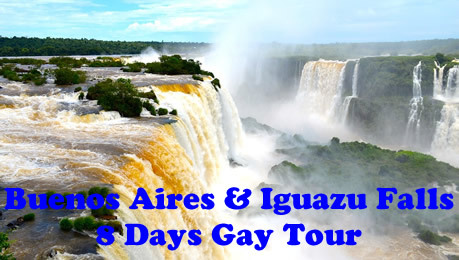 We offer a 8 days and 7 nights’ package in wonderful Buenos Aires and amazing Iguazú. 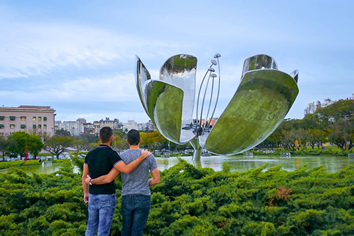 This is a complete tourist package which includes everything: transfer, city tour, dinner show where you will be able to see a tango show of international level, Buenos Aires gay night tour, plane tickets and full-day excursions to Argentinean and Brazilian sides of the Iguazú Waterfalls parks. 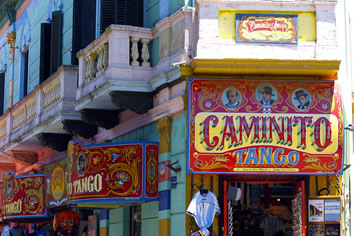 We have selected two charming boutique hotels: San Telmo Luxury Suites in Buenos Aires and La Aldea de la Selva in Iguazú. This two small-sized boutique hotels offers the best services in the area and we have chosen them specially for your visit. 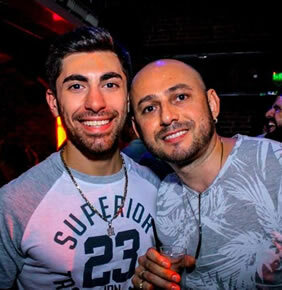 In this trip you will enjoy an unforgettable experience in an excursion that will show you the wonderful Iguazú Falls, both the Argentine side and the Brazilian one. 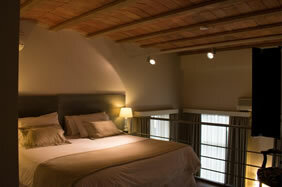 In a carefully restored historic building, San Telmo Luxury Suites features modern loft-style rooms with free Wi-Fi. 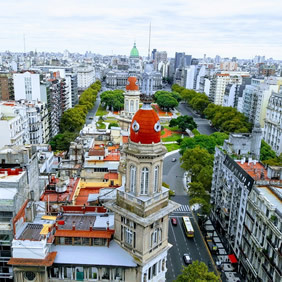 It is a 15-minute walk from Plaza de Mayo and the nearest subway station. 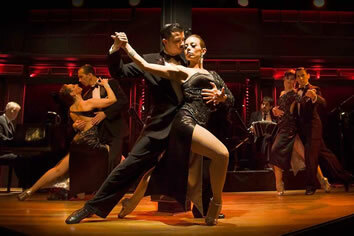 It showcases exclusive details with turn of the century décor. 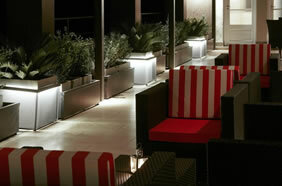 San Telmo Luxury combines chic colonial style details with cutting edge design. There is a small antique fountain with a modern water wall in the interior courtyard. Rooms feature works of art by renowned local painters. 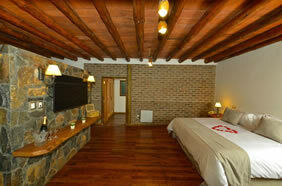 The spacious rooms are air-conditioned and have heating. Each room includes a flat-screen cable TV, electronic safe and minibar. A bath, shower and toilet are found in the private bathrooms. Some rooms feature 2 bathrooms, coffee machine, iPod docking stations, luxury toiletries and a pillow and massage menu. 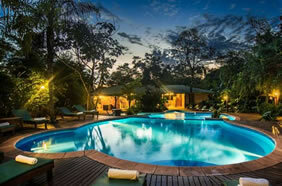 Set in the rainforest and offering an outdoor swimming pool with 2 hydromassage tubs, La Aldea de la Selva luxurious lodge, just 17 km off Iguazu Falls, features private balconies with hammocks and jungle views. Wi-Fi is free. Downtown Puerto Iguazu is 7 km from La Aldea. Car rental is available. Iguazu International Airport is 20 km away. Air-conditioned rooms have cable TV, parquet floors and are styled in cream-coloured shades with natural fabrics and interior bricks. Bathrooms include baths. Some rooms feature hydromassage tubs. An American breakfast with tropical fruits is offered. El Nido Restaurant boasts an impressive rustic chandelier, high ceilings and walls with embedded stones. Guests can enjoy a gourmet meal with rainforest views. 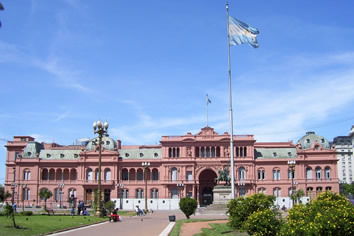 8 Days (7 Nights) Tour Only, Per Person.